I just finished the quilting for this Top. 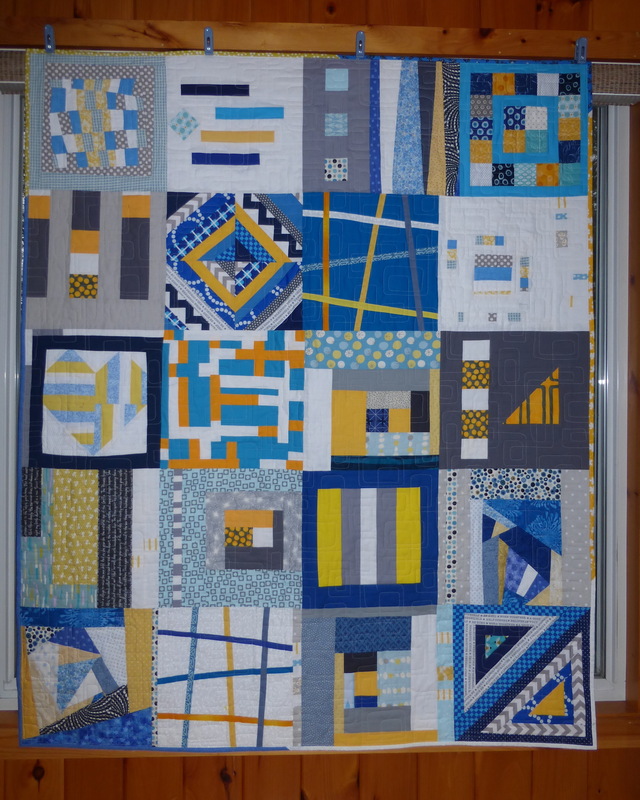 It is one of the many quilts that the Boston Modern Quilt Guild has put together as part of our Quilts for Boston effort. 25 of the quilts will be displayed in the medical tent at the Boston Marathon this year and others are available to those affected by the tragic bombing at last year’s marathon. I am not even sure who put the top together. 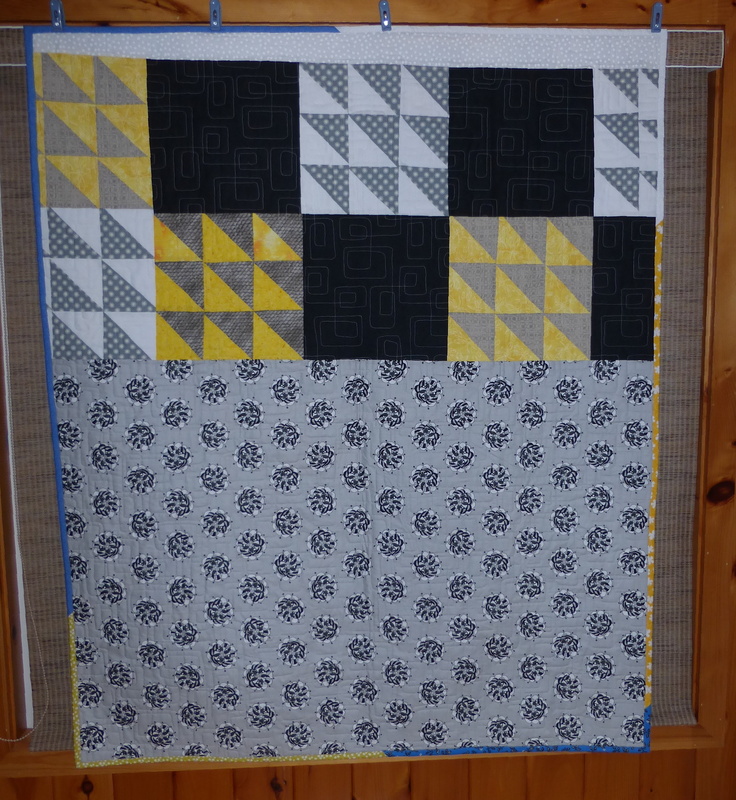 It appeared at the Boston Modern Quilt Guild retreat last month and I told Alice I would finish it. I really like this one. The blocks are quintessentially modern and quite a few are wonderfully improvised. This is the third one that I have quilted. Here is a blog article about the first one, but the second one made its way out of the house without a photograph! This entry was posted in Boston Modern Quilt Guild, Quilts and tagged boston modern quilt guild, improvisational quilt, modern quilt, quilts for boston on April 7, 2014 by pmegio.